Is it just that I’m getting more cynical in my old age, or are the news media really a lot worse than they used to be? There has recently been a lot of unrest in Ukraine, but trying to understand what has been happening there from media reports has been very difficult, because of the flagrant bias in reporting. I’ve been mainly relying on Al Jazeera for news from there, on the basis that since they don’t appear to have a dog in that fight, their reporting is likely to be less biased and more objective. The Russian and Ukrainian news media are full of mutual recriminations on this score. The Western media seem to give most prominence to the pronouncements of Western politicians on what is happening in Ukraine, and most of what they are saying is uttering threats against Russia. The Russian media speak rather simplistically of a putch by ultra-nationalist groups in Kiev. 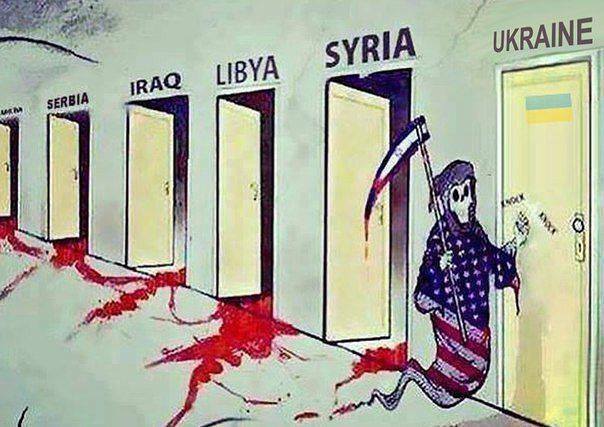 You want to know what is happening in Ukraine, and all you see on the Western TV news is John Kerry or William Hague uttering threats against Russia. You watch Russian TV, and they are saying that what is happening in Ukraine is a fascist putsch, which is simplistic, but at least they are talking about Ukraine. In addition, Al Jazeera has reported on similar protests in Thailand and Venezuela, which the Western media have largely ignored. The Russian media tend to take the line that protests in Kiev were orchestrated by ultra-nationalists and fascists. The Western media contrive to give the impression that protests in eastern Ukrainian cities and Crimea are orchestrated by Stalinist revanchists. If one believes the Western media, the principle that demonstrators in the streets of one city decide the government of a country seems to be established as “democracy”, but why, then, are demonstrators in the streets of another city who dissent from that decision descibed as “separatists”? All this seems to demonstrate yet again that Samuel Huntington’s Clash of Civilizations thesis is right. According to the “clash of civilizations” thesis, the fuure of Ukraine will be decided in Washington, Brussels or Moscow.The demonstrators on the streets of Kiev are puppets whose strings are puklled in Washington. The demonstrators on the streets of Sevastopol are puppets whose strings are pulled in Moscow, and much of the media reporting I have seen seems to bear this out. Back home in South Africa we have the media circus surrounding the trial of Oscar Pistorius. Many have pointed out the similarities with the O.J. Simpson trial in the USA a few years ago, involving a prominent sporting personality. It is the first South African trial to be televised. But then one has to ask why? Why did this trial, more than any others, have to be seen live on television? And the only answer seems to be the the media-created celebrity of killer and victim. There are good arguments for televising court cases: it is important that justice not only be done, but that it be seen to be done. But choosing this case, rather, than say, the Marikana miners, as the pioneer example, seems to send a different message — that justice will only be seen to be done for the rich and famous, and not for the poor. And, as in Ukraine, so in the Pistorius case, the media are seen to be not just reporting the news, but making and shaping the news. On whether Crimea remains part of Ukraine, or joins Russia, or becomes independent, I have no strong opinions. But when the media tell me (as the Western media have) that the break-up of Yugoslavia was good, but the break-up of Ukraine is bad, because politicians on an entirely different continent have decreed it, then I think I’m being lied to. And when the media demand that the Oscar Pistorius trial be televised, but show no such interest in the Marikana Inquiry, then I think we are being lied to even more. I was in the middle of writing this post on 4 March when my phone line died, and much of what I was going to write then has been overtaken by events. I’ve posted a somewhat truncated version, because I still suspect that the lies we are being told by the media are getting worse, and journalistic standards are dropping.